In the bad old days when I had to listen to the radio (the horror), I remember some sports guy making a remarkably insightful observation. He noticed that whenever someone prefaces a remark with "Not to be ___ but," they are about to be whatever they are disavowing. “Not to be sexist but, I can’t vote for the leader of the free world to be a woman." He continued and it didn't get much better. Apologies followed. But the qualifier didn't cover him. Not even close. So why am I mentioning this? Well... The other day, I was out for a run when, not to over-share but (brace yourself for over-sharing), I stopped to pee and saw this on the side of the trail. I've seen lots of cool and interesting stuff while out running (Sasquatch, for example), but I've never stumbled (literally) on a fawn. 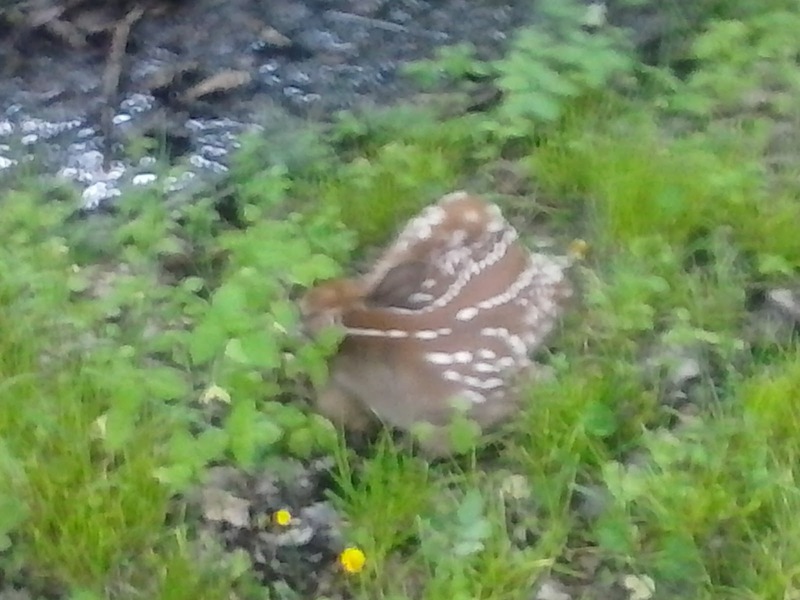 After going to the other side of the trail (ya know), I took a careful look at the fawn while keeping an eye open for Momma, worried that she would come barreling out of the woods after me. "Local Man Killed By Deer While Peeing On the Side of a Trail." Not a headline I want to be remembered by. I then put my earphones back in for the trip home. At the time, I was listening to a really good segment on Interfaith Voices that featured my friend John Fea. He and his evangelical interlocutor were debating the Trump candidacy and how it has divided the faithful. Smart stuff as always, which is what I have come to expect from Interfaith Voices. Not to be pushy but (eh, get it? ), you really need to subscribe to this show if you aren't already. Try it on the run too. After all, I just learned that SCIENCE says that "running is a perfect time for podcasts." It's also a perfect time for hydration. Just not too much hydration.